And I read in a Guardian article yesterday morning that a huge percentage of professional people suffer acutely from stress and depression, but that with pills and psychological support, how they manage to get by on a working day. We talked about his writing and my painting and how lucky we were to have this poetic world to sink into, one which in turn colours our lives and makes them richer. And he asked 'What about the rest of humanity?' Big Question. I replied that this is the reason why I teach, to get the word out there. And then the conversation drifted in another direction but it has hung in my mind ever since, because there is a better, fuller, answer. It is that I believe that we are all creative beings but that the precious gift of creativity has been taken from us (most of us) during childhood and that we yearn for it for the rest of our lives. It is like a hole in our soul. And the wound from this deprivation is harsh and deep. And that now we have to remember; yes simply remember, what it was to be a child, to play and float in a world of fantasy and creativity without judgement or restraint. Yes I know I'm banging an old drum here but maybe not loud enough. Because we live in perilous times and we are suffering the pitfalls of passivity, psychologists and pills. We are looking for easy fixes and they abound. But these fixes are ephemeral and do nothing to satisfy our (sometimes unconcious) yearning to be creative. Now, I am not going to pretend that creativity is the only answer to the world's problems but I am truly wary of quick fix tricks and this obsession with change that currently abounds. That if you keep on searching, that you'll eventually hit on the right one, the right trick. If you are looking to supercharge or recharge your creativity and wellbeing then you will love our retreats. Set in magical Italy near the birthplace of St Francis of Assisi we will immerse you in every aspect of good living and creativity. Our approach unlocks potential and provides a well needed respite from the pressures of daily life, allowing you to reflect, unwind, relax and refocus. 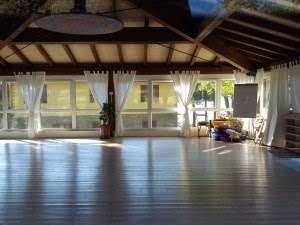 Our retreats are held at Casa Faustina a beautiful calm venue in the foothills of Assisi. Spaces are limited so please book early. For details of all our summer retreats, click here.